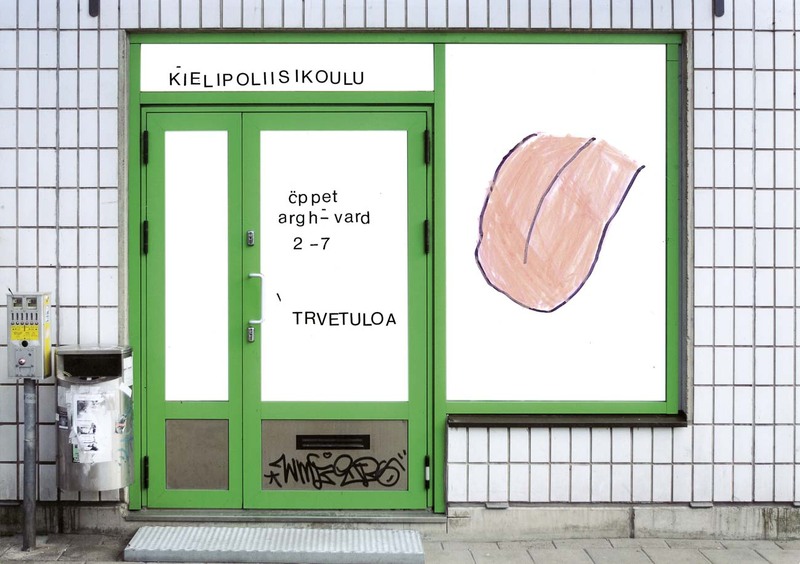 The Work consists of parts inside the museum as well as outside, in the city space. 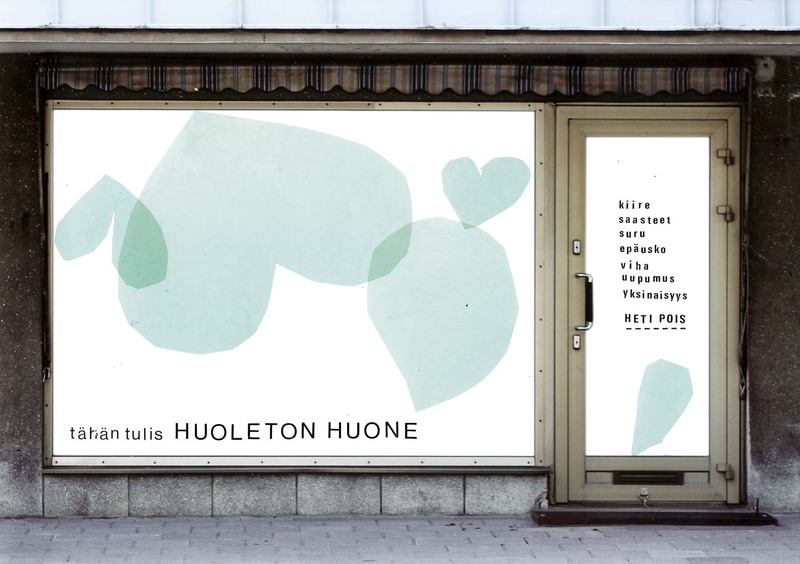 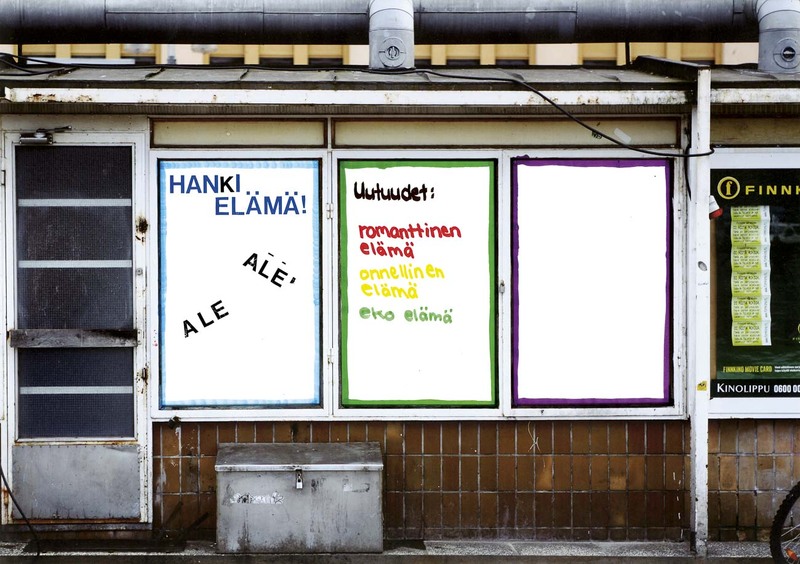 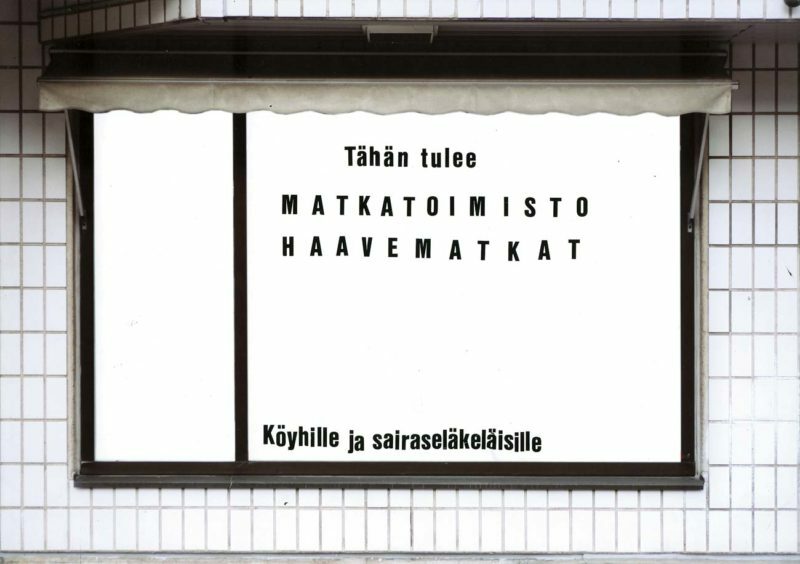 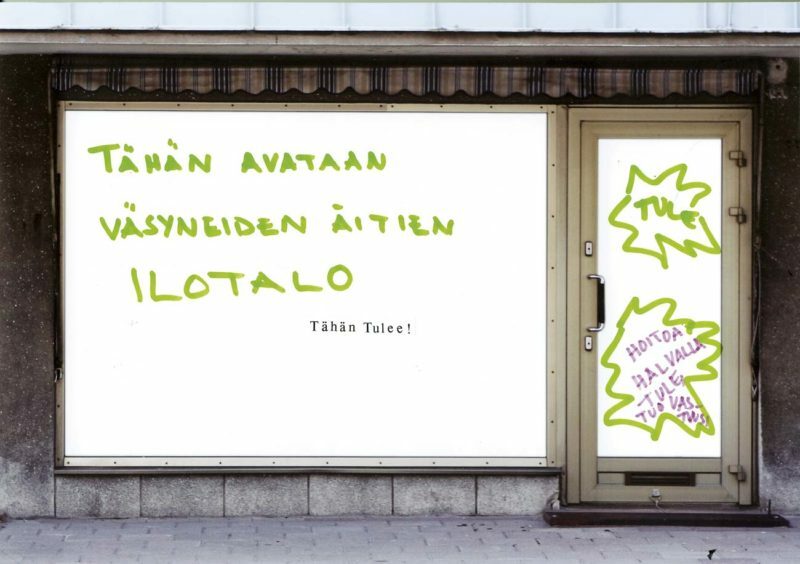 There were two shop windows in the centre of Turku, displaying surprising and perhaps even suspicious advertisements. 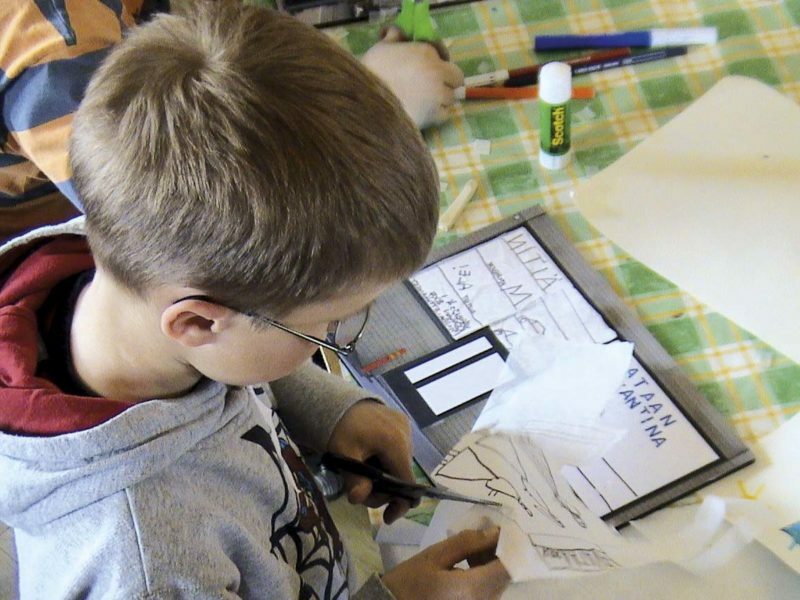 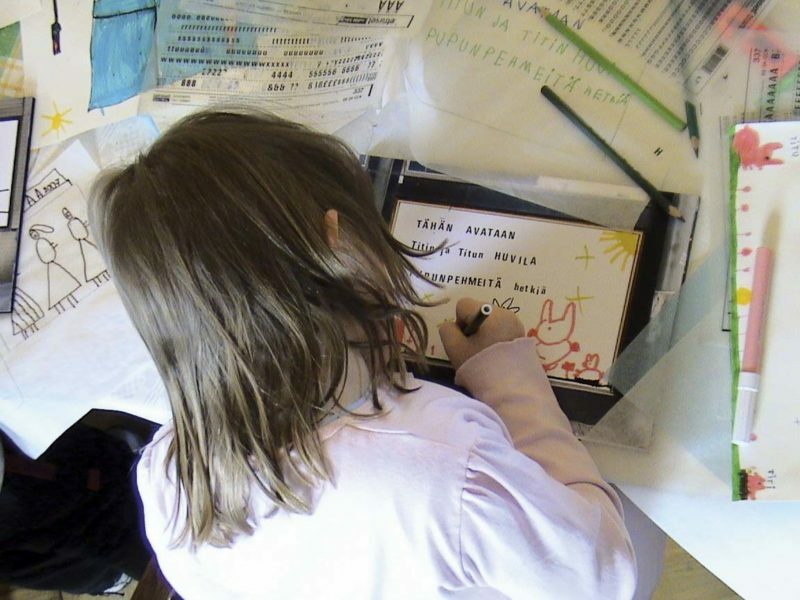 The other part of the work was a series of workshops for children, teenagers and adults. 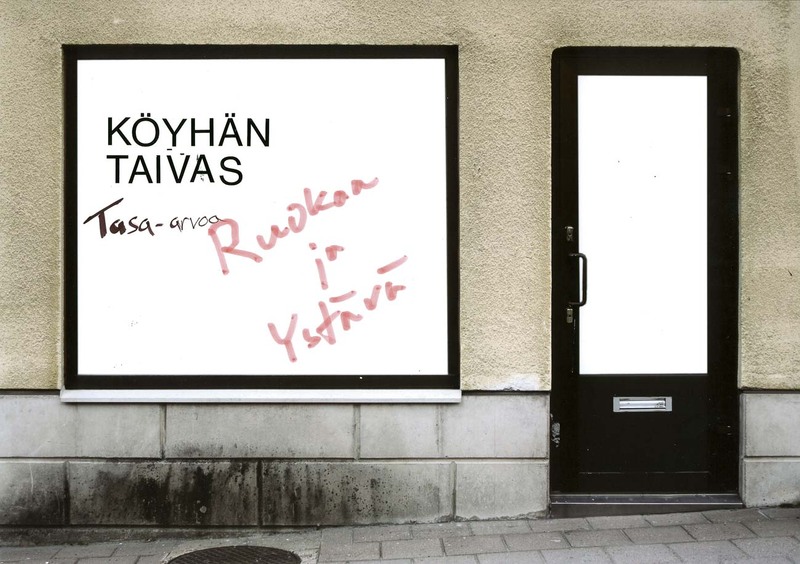 The workshops encouraged to think about the urban reality of Turku; what kind of institutions, shops and services would there be in a city of dreams, utopias and horror visions. 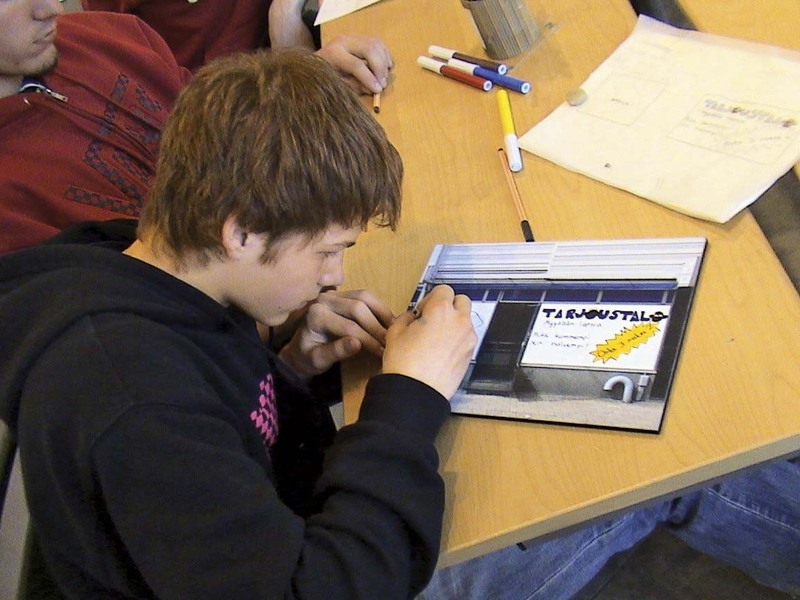 The attendants created new fictive functions and designed graphic identities and advertisements for them. 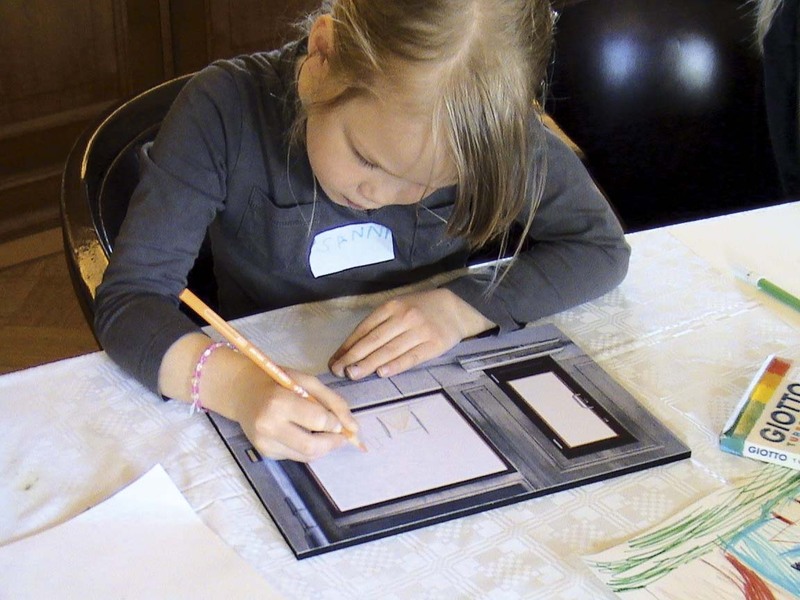 The results of the workshops were on display in the museum. 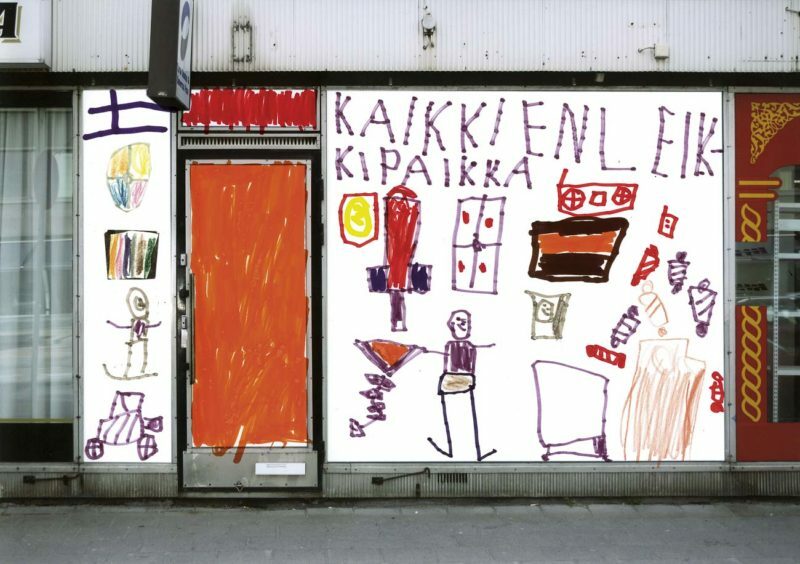 During the exhibition the public had the opportunity to create their own fictive institutions, shops etc. 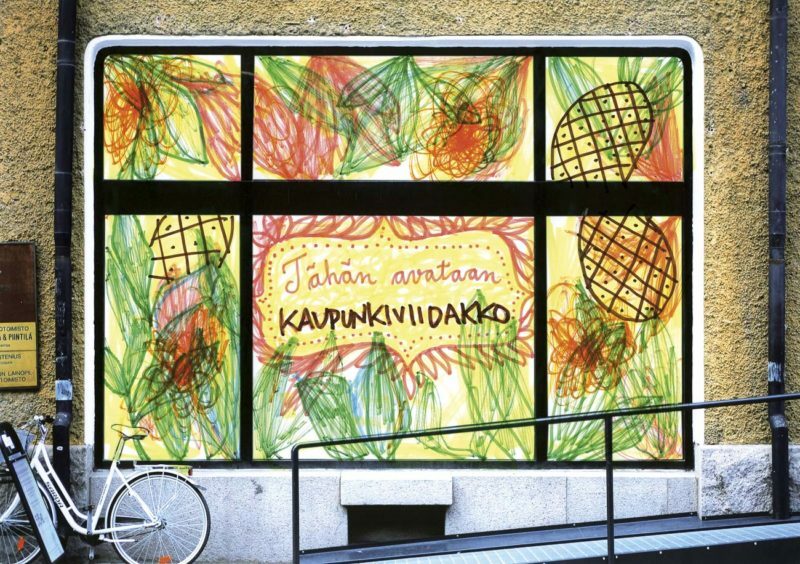 as well as window advertisements for them. 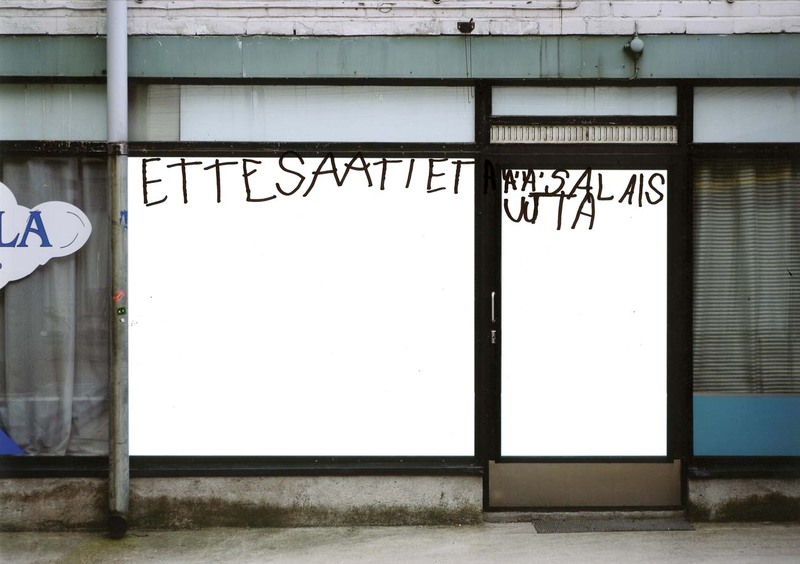 There were plenty of empty windows and drawing materials available.